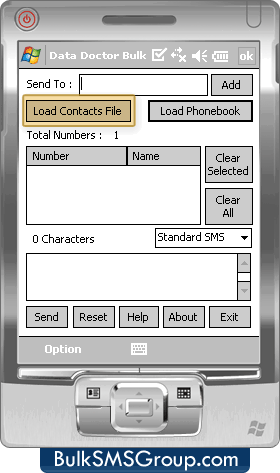 Load contacts from file or from phonebook as per requirements. 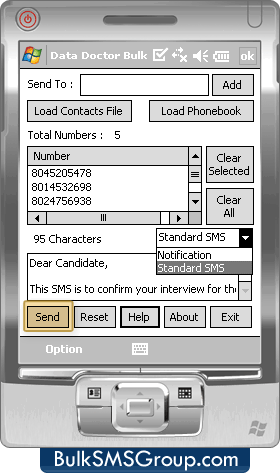 Select Standard SMS/Notification to send messages. 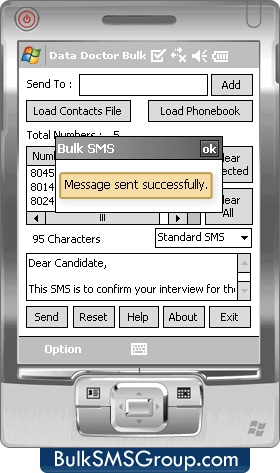 Wizard shows confirmation message after sending SMS.